We just experienced our second miracle with the birth of our second baby girl, Catalina. Our first experience with the Orchid Nest was in 2012 when we were pregnant with Sofia. I was terrified, as she was my first child. I had heard so many stories of painful births, problems at the hospitals, etc. that I was terrified. I knew I wanted a natural birth, but was worried about the pain. I wasn’t sure that I was strong enough to experience a drug free delivery. Upon hearing about HypnoBirthing, I wasn’t sure what to expect. My experience was amazing! First, through the classes, I was able to understand many aspects of the birthing experience including physiological issues that I would experience as the birth progressed, as well as, countless administrative issues and decisions with the hospital that we would have to decide on prior to delivery. Not only were they able to mentally prepare me to cope with the potential pain, but I went into delivery confident that my birthing plan was based on my values and wishes, and not the hospitals. Stacy Greenberg, was my doula. I can’t say enough good things about her. She not only worked with and coached me and my husband through the delivery, but she also helped me manage the hospital staff effectively. Because of the confidence that I had built in the previous months through the HypnoBirthing class and Stacy’s warm and caring demeanor, my delivery was an amazing experience. I was lucky to give birth to my baby girl within 2 hours of having checked into the hospital, no drugs…no pain. Stacy was beyond wonderful and I am so grateful for her support. Everytime I look back and think about how she helped me make it through, I realize, I wouldn’t have done it without her. The second delivery in 2016 was just as amazing. I returned to the Orchid Nest for a refresher (free of charge) and to fine tuned my HypnoBirthing skills. I chose to use Stacy as my doula again, and again she was amazing. This delivery was extremely fast. Less than 35 minutes after being admitted into the hospital my wonderful Catalina was born. Again, no drugs, no pain. Just an amazing experience! 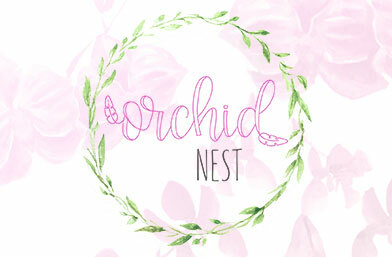 I would strongly recommend the Orchid Nest to anyone looking to have a wonderful birthing experience. They are truly dedicated to helping the mother to be to have a great experience to go with the miracle of birth.